Imagine this… It’s late one evening and you’re home alone. You’ve just finished a quick, less than interesting dinner and are watching something terribly boring on television. It hasn’t been a great or particularly productive day. As you are winding down to go to bed, your phone dings. On the screen is a notification from a social media sight, maybe Facebook or Instagram, and you open it. There you see someone you know having the time of their life. Maybe they’re on holiday somewhere you have always wanted to go, or perhaps they’re out with friends painting the town red. Meanwhile, here you are, sat alone and bored whilst the rest of the world spins on without you. Those feelings of isolation, depression and worthlessness grow. I notice this happening for me at least one a week and it is seems to be a product of the times we are living in. But what part do we play? With the rise of social media over the last ten years, people are able to share exactly what they are doing, in an instant, from anywhere in the world. The things people share, however, are generally not an accurate representation of their daily lives. This is something we can easily forget, particularly when we’re already feeling bad about ourselves. People have a tendency to share the good times, the exciting, life changing or happy moments that show them in the light they want the world to see them in. There are far less posts about the average serving of beans on toast that they ate alone whilst watching Coronation Street, which is actually what you will find many people do more often than not -we just don’t hear about it! When we’re comparing ourselves to others, what we’re really doing is comparing everything we know about ourselves -all of our imperfections and how we feel internally- to a very limited window into someone else’s life. We see just the pieces they’re happy with us seeing! Like us, they try to keep their imperfections hidden from view too. So it’s important to remember that social media presents a false representation of what’s really going on. 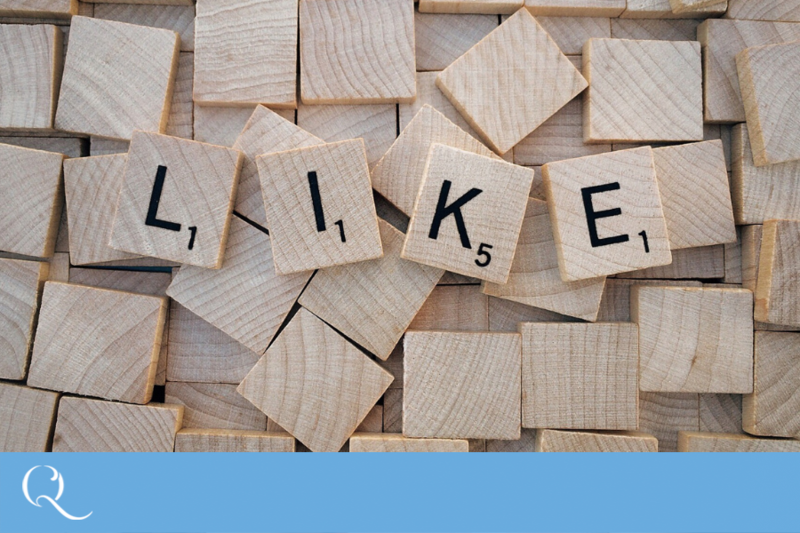 If you pick just one profile on Facebook and scroll through it, you’ll likely find that that person only posts something of interest about once or twice a month –or less! That is the pace of real life. They, too, have boring, lazy and even depressed days. It’s just that they, much like yourself, aren’t shouting about it. Consuming social media, in the way I have just described it, can be a trigger for unwanted thoughts of loneliness and feeling useless. It might help you to think about unfriending or unfollowing certain people; reducing your notifications; deleting some social media apps from your phone and spending less time scrolling through your newsfeeds. And when you do notice these thoughts and feelings creeping in, just remember how the real world works and ignore or filter the perfectly crafted messages that social media offers us. Life can be amazing, but most of the times it’s very routine and mundane. And that is absolutely fine.